Luminosity masking is well-known by Photoshop users who shoot landscape. However, as I've shown in past articles, it's not limited to a specific photography genre (e.g., using luminosity masking for color grading). I use it all the time in beauty and portrait editing, and thanks to the new Luma masking found in Capture One Pro 12, I can now use it easily for wedding photography as well. 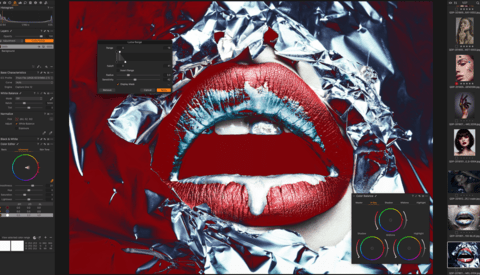 The new Luma Range tool helps you refine your layer masks based on luminosity values. If you'd like to apply a setting only to a particular part of the image – let's say denoising only the shadows – this is the tool you'd use to create the selection. The guys at Phase One have made it visual and easy to use even for those who are not familiar with such a way of masking. In the above video, Woloszynowicz explains how to use masks in Capture One and focuses on the Luma Range tool so you can get a few ideas as to how it works and what it can be useful for. His examples are on portraits, but the same techniques can be applied to any picture.